Today’s guest post comes to us from Amanda Green (AmeriCorps ’01), Regional Director for the Alliance for a Healthier Generation. As a Program Manager for the Alliance for a Healthier Generation’s Healthy Schools Program from 2009-2010, I worked with schools and districts throughout the state of Florida to make healthy changes in schools. I was particularly motivated to work with schools in the panhandle of Florida, where I was born and raised. One school in Pensacola, Bellview Middle School joined the Healthy Schools Program in 2006 and focused on increasing physical activity and healthy eating for students. They were the first middle school in the school district to serve breakfast-and their students experienced immediate results. The school nurse reported a 30 percent reduction in students coming to the clinic in the mornings with headaches and stomachaches. Then, the school added afterschool programs like cooking classes and dance clubs. Students learned to make healthy snacks and learned fun ways to stay physically active. By the time I started working with Bellview Middle School in 2009, they had institutionalized many of the changes they’d made their first year, and they were continuing to make small changes each year. With the help of the local food bank, they started a school garden. 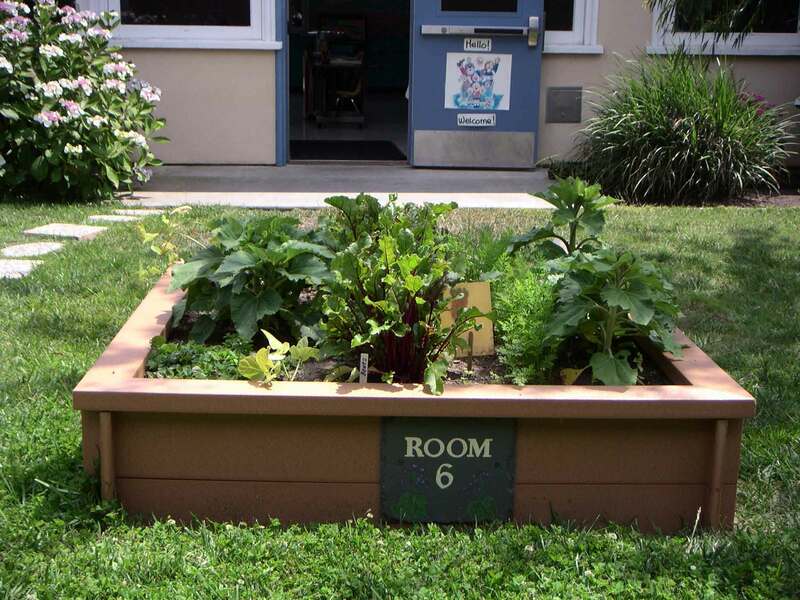 They received ideas from the Alliance for a Healthier Generation about how to use the garden to incorporate health lessons in all subject areas. In language arts, students wrote about the garden to practice writing skills for the state standardized tests. Which would you find more interesting – using standard writing prompts or writing about seeds you planted, cultivated into vegetables and sampled in class? Justin, one of the 7th graders, said, “I never liked cabbage before, but I tried it in class, and I liked it!” Justin was in danger of failing, but the garden project engaged him. His grades and behavior improved. Many other students made significant progress academically, in behavior and in attendance. Overall, scores on standardized testing improved, and staff expressed support for the connection between healthy students and academic achievement. Since 2010, I have served as a Regional Director for the Alliance for a Healthier Generation. I lead 10 Program Managers working to transform schools across the country. Together with teachers, students, school staff, families and community members, we are collaborating to make changes to create healthier school environments rooted in evidence-based national best practices in school health. We strive to give children an opportunity to live healthier lives. While visiting a school in Minnesota, I was in a principal’s office and saw a note from a student named Lily. The school cafeteria had begun to make changes in the school breakfasts and were incorporating healthier choices. Lily, an ambitious kindergartner, felt the need to write to the school principal to advocate for her position. She said, “Dear school – I like how you used to do it. I know you are encouraging us to have healthy foods, but I really like donuts. Thank you, Lily.” I love this story because it shows that while students may enjoy unhealthy foods like donuts; they also understand that there are reasons for having healthy food options. Children spend most of their day in schools, and we have the opportunity in schools to teach students, like Lily, why making healthier choices is important. As an AmeriCorps*NCCC member, I pledged “to make our people safer, smarter and healthier… this year and beyond.” My work with the Alliance for a Healthier Generation is enabling me to fulfill this promise. I’m proud to be an AmeriCorps Alum and to know my work is in line with the AmeriCorps pledge, as well as the Corporation for National and Community Service’s focus on Healthy Futures.